Tendon injuries are common in sports and can be difficult to treat. Tendon injuries account for 30% of the $30 billion spent every year on musculoskeletal injuries in the USA alone [1, 2]. While observing U.S. Division I collegiate athletes participating in 37 sports, Raikin, Garras, and Krapchev found that foot and ankle injuries accounted for 27% of all musculoskeletal injuries . Basketball, in particular, has a relatively high incidence of tendon injuries compared to other sports . Lievers et al. examined the rate of foot and ankle injuries in collegiate American football and found that the rate of foot and ankle injuries was 15 per 10,000 athletic sessions . In tendon healing, primary healing is prolonged and recurrence rates as high as 30% have been reported [6–8]. 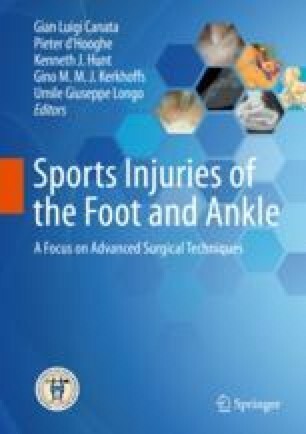 Given the high cost of foot and ankle injuries, it is important to understand the current challenges facing the treatment of tendon injuries, as well as identify optimal treatment strategies for rehabilitating athletes effectively.